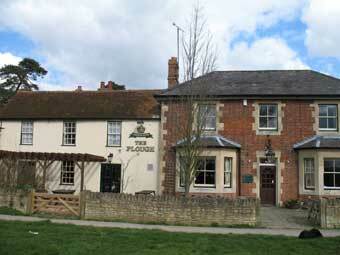 We usually have a pub night once each month at The Plough at Wolvercote (pictured left). (The Plough, The Green, Upper Wolvercote, Oxford OX2 8BD). Socialising with fellow club members, modest drinking, coffee, and food (till 9:00pm) if desired, at this friendly village pub. It is a traditional inn for classic pub food and real ales amid exposed-brickwork and beams. We usually meet at the Library (back room, right of the bar), unless there is a function there. There is some parking in the car park and more on-street. The next pub night here is on Friday April 5th at 8:00pm. By car: take First Turn off Woodstock Road (near the roundabout) and continue to bottom of hill, where the pub is on your left. By bus: No. 6 from City Centre (outside the Randolph Hotel) to First Turn stop, then 300 yard walk down hill to The Plough on the corner. We also have pub evenings at other venues (often, but not always, in Oxford) : e.g. the Brewery Tap in Abingdon.